Update (8/21 7:55am): Ok it’s back folks! 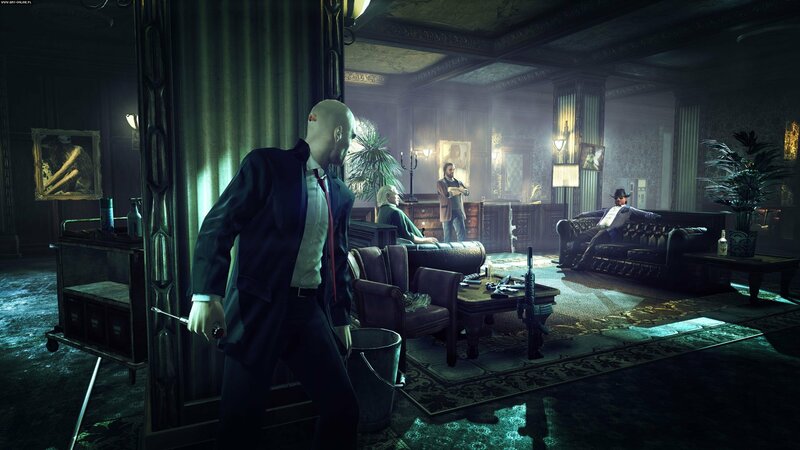 the below Hitman: Sniper deal is once again available on the App Store. Update (8/20 2:05pm): Hitman: Sniper is now oddly “unavailable”. 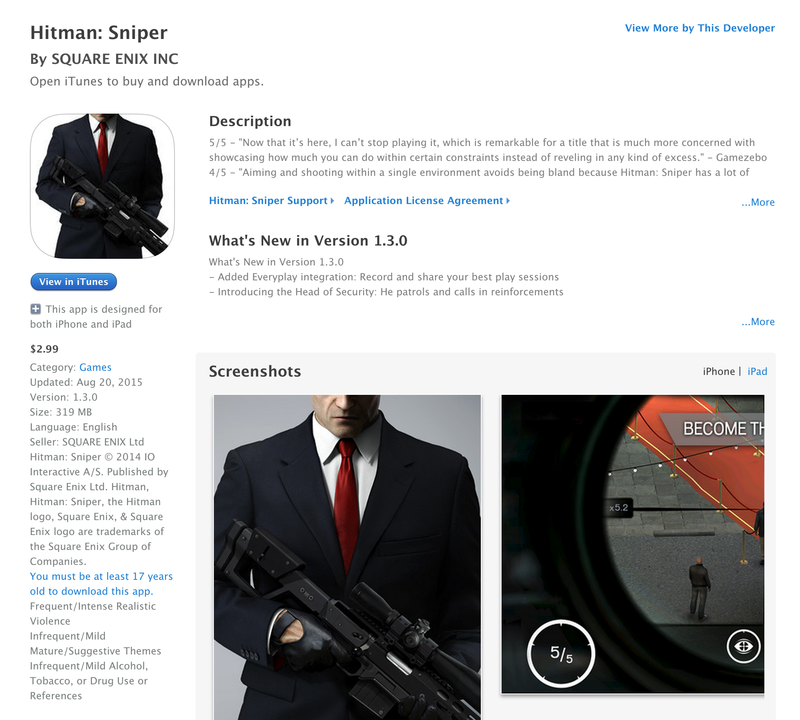 The Hitman: Sniper listing has seemingly disappeared on the App Store. We will update this post when we know more. After being beta tested outside the US on the App Store and then being fully released stateside back at the beginning of June, Hitman: Sniper is getting its very first drop on the App Store today. Regularly listed at $4.99, you can now download the game to all your iOS devices for $2.99. It has so far received a 4.5/5 star rating from over 2,600 reviewers. 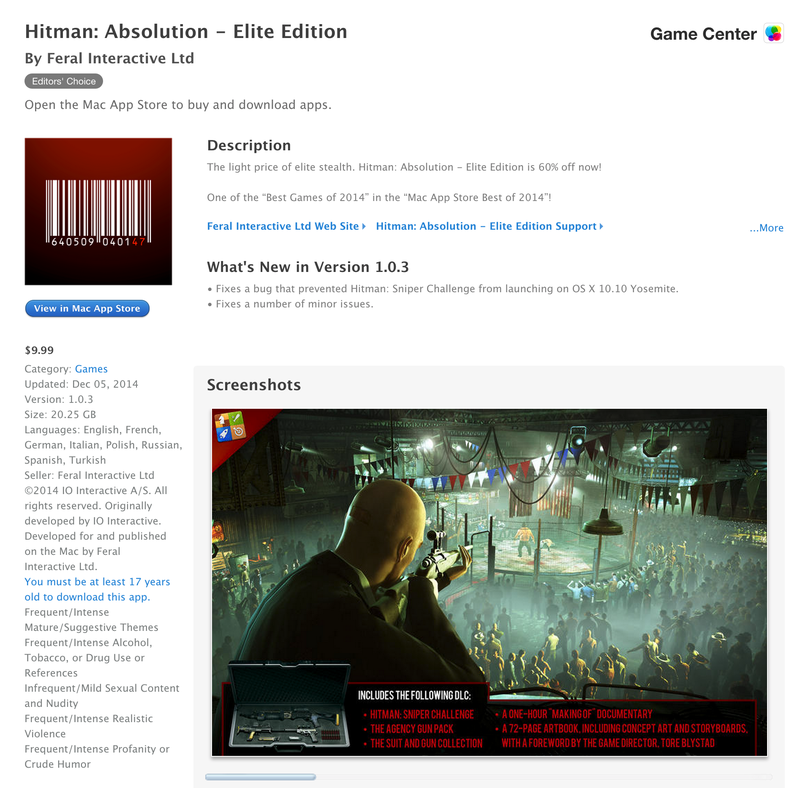 One of the “Best Games of 2014” in the “Mac App Store Best of 2014”, Absolution is a Mac port of the full console release. Today you can grab the Elite Edition on Mac for $9.99, matching the lowest we have seen it go for on the Mac App Store. It currently sells for $25 on Steam and Amazon. If you’re anything like me, then the only game you’re more excited for than The Phantom Pain, is the upcoming new console Hitman game scheduled for this holiday season. You’ll find the rest of our best game deals in our daily roundups and today is your last chance to pickup the Free App of the Week courtesy of Apple.